I am officially Auntie Linz! My nephew, whom I shall call Baby Mac on the blog, was born last night, and he is a little bundle of cuteness! Since I am two hours ahead of my family in San Diego, I waited up until the wee hours of the night to scrounge up any details I could through phone calls and text messages. My mom sent me photos, and I just cried as I looked through them. Mac is such a sweetie! As we all do when we're fresh from the womb, he was sleeping in all of the photos. I can't wait to see which features he got from his mom and dad! Summer, only Superwoman could move into a new house and give birth in the same week! Congratulations to you and Mike! This is going to be such an amazing adventure for the whole family. I will see you, hug you, and kiss you in 15 days! I love you so much! Happy birthday (plus one day), Mac! You are so loved! A. I feel like you just announced you were going to be an aunt... aka WHERE IS TIME GOING! Yay congratulations!!!! Welcome to the world, Baby Mac! congrats!!!!!! did her labor and delivery go well?? I know I'm a bit late, but congratulations!!! You must be soooooooo excited! 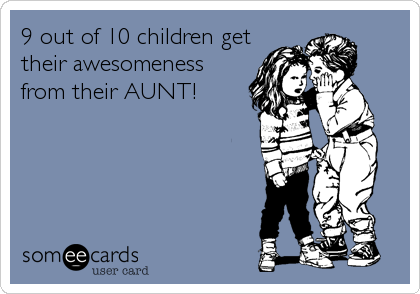 I can't wait to be an aunt in just a couple more months! Welcome to the world baby Mac!!!! ?